Home featured How would Smart IoT shape our lives in the future? The concept of ‘connectivity’ is going beyond laptops and smartphones as we see it moving towards smart cities, smart homes, smart retail, smart farming, connected cars, connected wearable devices and connected healthcare. In short a connected life. The Internet of Things is a popular terminology these days, but unlike many technological fads which have come and gone in the last years, the Internet of Things proves to be an important trend which is having long-lasting effects on the society. The term “Internet of Things” itself is used to mean a variety of ideas. The IoT cloud platform is primarily designed to store and process IoT data and forms the core of all IoT devices and IoT solution. The platform is built in a way that it enables taking in a huge amount of data generated by sensors, websites, applications and initiate actions for real-time responses and analytics. For example, Smart Refrigerators can automatically order the run out items, similarly, when you use Smart Locks, you do not need to have multiple keys for them, and you can unlock them by using smartphones. The platform can provide businesses with an extensive and integrated perspective of customers, without needing much technical know-how of a data analyst. The platform can intake a lot of events each day and users can define rules that state events to act on and what actions to take. The demand for cloud-enabled IoT services and solutions is rapidly increasing. A report by Zinnov Zones says India has about 43 percent or $1.5 billion of the global $3.5 billion IoT market. 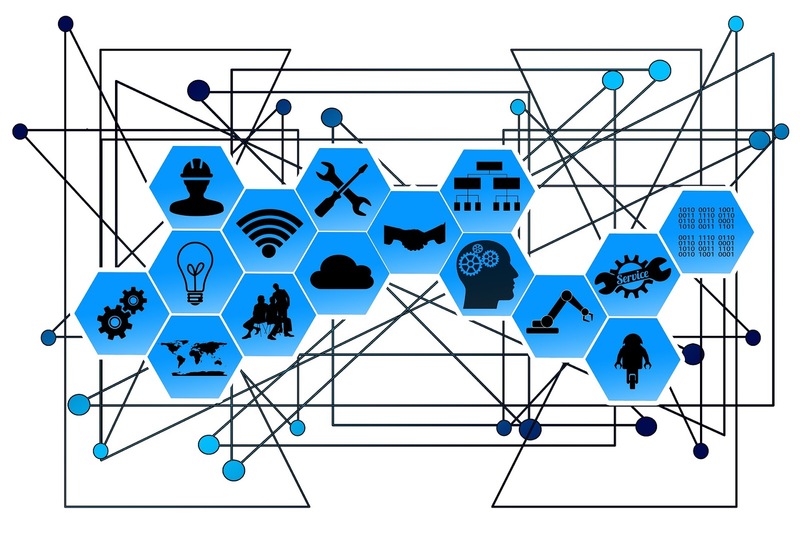 Experts predict that Indian IoT market will grow from $1.5 billion today to more than $9 billion by 2020 with over 2.7 billion connected devices and grow. Another Gartner report predicts, by ‘2020 the number of connected devices across all technologies will reach about 20.6 billion’. How would you feel if you could switch off lights after you left home/office or switch the AC on before reaching home? With IoT taking shape there is the introduction of a world where all the smart devices can be in constant connection with each other and are monitored by users remotely via voice commands or by a simple click. With the rapid growth of IoT, it is predicted Smart Homes will be as common as smartphones. It has also been predicted by Gil Press that more than two-thirds of consumers plan to buy connected technology for their homes by 2019. A detailed report by the Tech Republic says in 2016, wearables were sold at a rate of 38 million and a large portion of them were fitness trackers and smartwatches. These two classifications will make up a joint income of $4.9 billion. Wearable devices are installed with sensors and software’s which collect data and information about the users. This data is later pre-processed to extract essential insights about the user. The pre-requisite from IoT technology for wearable applications is to be highly energy efficient, low power and small sized. The productivity of data processing achieved by various smart wrist wear, hearable, and smart glasses is getting closer to where wearables will bring exceptional value to our lives. Gartner predicts that about 250,000,000 connected cars will be out on the roads by 2020. So, what really are connected cars? IoT engineers have come up with an industry solution for connected automobiles that gathers, analyzes, stores and take action on vehicle sensor data. A connected vehicle is one which is able to improve and analyze its own operation, maintenance as well as the comfort of passengers using onboard sensors and internet connectivity. IoT for automobiles is a vehicle-to-cloud offering that enables awareness of the environment even beyond the vehicles and helps use the information to establish a relationship with the driver as well. The IIoT (Industrial IoT) enables industrial engineering with sensors, software, and big data analytics to build intelligent equipment. Smart machines are precise and consistent than humans in communicating data. And this analytics on the generated data can help companies pick inabilities and problems fast. In the meanwhile, did you know that about 5.4 million IoT devices will be used on oil extraction sites by 2020 to provide environmental metrics about extraction sites? IoT has the potential of solving major problems faced by the people living in cities like pollution, traffic congestion and a shortage of energy supplies etc. IoT will empower cities to leverage their network to offer advanced smart city applications for citizens, new eco-sustainability initiatives and create first-hand opportunities for enterprise development. To help increase farm performance, IoT technology providers continue to develop IoT cloud-based platforms that can sense, process and communicate precisely measured environmental data. Farms are becoming more connected as farmers realize the potential of IoT in helping them reduce cost while achieving improved results. IoT Smart Retail enables stores to revolutionize customer service while saving time and money, while simultaneously providing the consumer with a seamless shopping experience. By installing this system, retailers are also able to recapture investment dollars while surpassing expectations for tech-savvy consumers. Some of the components included in Smart Retail Are Power shelf, Beacons, and Digital Price Tags. Research says IoT in healthcare will be enormous in coming years. It is aimed at enabling people to live a healthier life by wearing connected devices. For example, through IoT, doctors can use GPS services and be prepared for treating patients being brought to the hospital in emergency cases. Global telecom operators now use IoT enabled digital platforms that are a combination of connectivity, analysis, security, mobile, and cloud to support businesses. This is helping them reduce operating costs while enabling end-users to consume technology in a business focused manner saving time and money.